Information in this press release is based on data drawn from DealSearchOnline.com, an online publication of Irving Levin Associates, Inc. Online and available 24/7 at www.dealsearchonline.com, DealSearchOnline.com is a database of current and historic health care mergers and acquisitions, with deal summaries on more than 15,000 mergers and acquisitions since 1993 in the following sectors: Behavioral Health Care; Biotechnology; e-Health; Home Health Care; Hospitals; Laboratories, MRI and Dialysis; Long Term Care; Managed Care; Medical Devices; Pharmaceuticals; Physician Medical Groups; Rehabilitation; and Other Health Care Services. Deal summaries include details such as deal terms, target and acquirer contact information (including e-mail addresses), and price to revenue multiples. Searching is free and detailed deal summaries are immediately available for download or to print, through payment with a credit card or the purchase of a subscription.For a login, visit www.dealsearchonline.com for a login. Certain Irving Levin Associates, Inc. print publications include special online access to the database for subscribers. 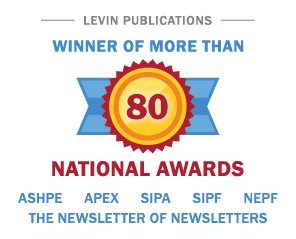 Call 1-800-248-1668 for details on subscription options, or email customerservice@levinassociates.com.